At the end of January, I came down with an “upper respiratory virus,” which is a fancy name for the flu. Thankfully, I recovered from the virus, and I’m incredibly grateful! The bad news is I’ve experienced back pain since February 9th, and I’ve had a hard time walking, standing, and sitting for long periods. I’ve dealt with chronic lower back pain since I was a teenager. However, it seems like the pain has become worse over the past two years. So far, I’ve been able to mitigate the pain with walking, swimming, and gentle yoga. But I need to do more for my back, so I’ve taken action steps toward better health. Over the past few weeks, I’ve seen my massage therapist, a chiropractor, and my primary care physician to work on a wellness plan. For instance, my doctor gave me a referral to a physical therapist that specializes in spinal rehabilitation, and I’ll start working with him next week. My doctor also suggested strengthening my core and starting Pilates once I feel better. Also, I brought my new book—The Whole 30—to my doctor’s appointment because I wanted to talk to her about changing my eating habits. Specifically, I wanted to know if The Whole 30 could reduce joint pain. We had an interesting discussion about how certain foods can cause or prevent inflammation. For example, my doctor has seen patients with arthritis who’ve given up gluten and dairy, and, as a result, they’ve reduced their pain or it’s gone away completely. However, she cautioned that diet modifications don’t work for everyone. With that being said, she encouraged me to try The Whole 30 because it could be beneficial for my overall health. I start the program next week! Finally, I had an X-ray done to make sure my spine is okay. The X-rays came back with unfortunate news. I have degenerative disc disease and “lumbar facet joint arthritis,” which is a fancy name for arthritis in my lower back. I’m in pain because my joints are very inflamed. The good news is that the inflammation will subside in 6 to 8 weeks. The diagnosis is a bummer, but it’s good to know what’s wrong with my back and how I can treat the problem. I’m excited about my wellness plan because I am determined to regain my strength and get back to my active life. Being able to walk and stand without pain is one of my top priorities. If I’m not taking care of my body and mind, I can’t help friends and family members. My health issues pale in comparison to what’s happening with our cousin Aubrey. 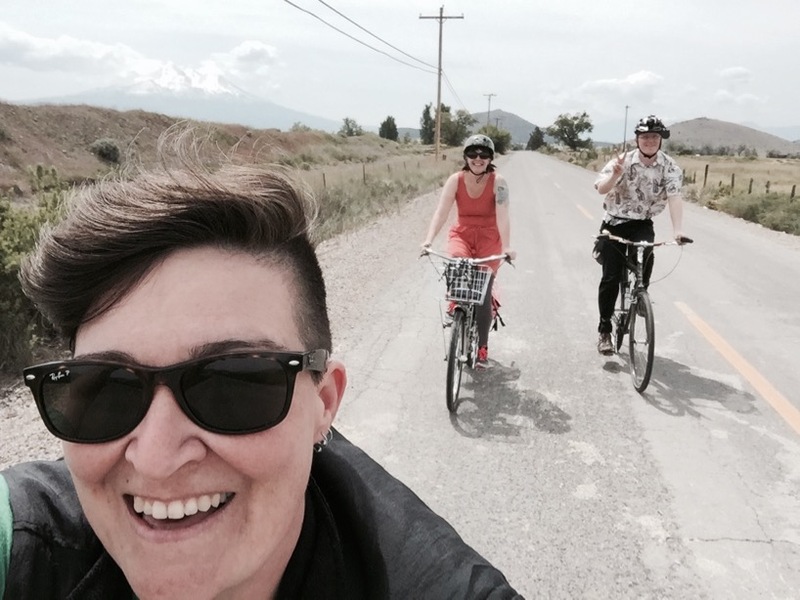 Last weekend, she was in a horrible bike accident while training for the 2016 AIDS Lifecycle. Currently, Aubrey is in a coma with a very serious brain injury, and the recovery process will be long (probably up to a year). Aubrey is a kind, caring, considerate, and loving human, and she has a whole tribe of friends and family that love her dearly. We’re hopeful that Aubrey will make a full recovery, and I’m happy we’ll be visiting her this weekend. Last night, Logan and I talked about Aubrey’s accident, our worries, our fears, and our hopes. I told Logan that I felt like this was a bad dream. It’s hard for me to fathom that Aubrey is in the ICU with a severe brain injury. She’s receiving incredible medical care, and friends and family are showering her with love, support, and prayers. As Joan Didion said, “Life changes in the instant. The ordinary instant.” Aubrey’s horrible accident—plus my own health issues—reminded me how fast life can change. I don’t have a 20-point list on the topic of health, tragedies, or what it means to be human. However, I want to encourage you to practice self-care, to offer love and support to friends and family, to be generous and kind, and to savor every moment of your life (even when it’s hard). Please note: I am not a medical professional, and this article is based on my personal experiences. If you have a severe back injury, see your doctor immediately.